The official blog of IKYU International. Just like other facets of contemporary Japanese culture, the sports scene in Japan is an interesting blend of games and activities from both Japan and overseas. Probably the largest spectator and commercial sport in Japan today is baseball though in recent years soccer has been increasing in popularity. Baseball is typically known as yakyuu in Japan. The term literally means “field ball.” It was a term coined when the game was introduced by an American English professor in the 1870’s. By 1920 the first professional baseball league had started in Japan and from then on it quickly became a national past-time. High-school tournaments, such as the one held in Koshien each year, have become iconic. Many teen-aged Koshien participants have gone on to become professionals in Japan and the USA. As mentioned earlier soccer is also a very important sport in Japan. Soccer was first introduced to Japan around the same time as baseball. Despite being a hugely popular international game, the sport never really gained a lot of interest in Japan until the 1960s when Japan won an Olympic bronze medal in the sport. Since then soccer’s popularity has snowballed until in the early 1990’s the professional “J-League” was formed. In 1998 Japan made its first appearance at the soccer world cup finals. The team didn’t win a game but its appearance at the tournament was seen as a huge sign that soccer was now a major sport in Japan. Interest in the game peaked in 2002 with Japan co-hosting the world cup with Korea. Earlier this year Japan recorded their first ever victory in a world cup tournament. Traditional Japanese sports are still very important. The most popular Japanese sport by far is sumo. Sumo is hundreds of years old and today the sport is fully professional with approximately 700 registered professional sumo wrestlers affiliated with 54 stables. The sport is administered by the Japan Sumo Association. The top-most sumo division receives a huge live and television audience with the highest ranking yokozuna receiving great prestige and financial reward. Sumo can trace its origins to ancient Mongolia where wrestling has been a hugely popular sport for thousands of years. As a result the sumo leagues of Japan feature a number of Mongolian wrestlers. The most famous of whom being recent yokozuna Asashoryu and Hakuho. Of course there are many more sports to watch and take part in in Japan. Here we’ve only touched on the top three. Joining a club or team is an important part of Japanese culture. Consequently, sports thrive in Japan. Team members and supporters are incredibly organized in their chants and cheers for their teams. If you can’t join a Japanese sports team, being a spectator is also a great experience. If you are asked to think of stereotypical Japanese pursuits, you’d probably think of karate, origami, ikebana and so on. I’m sure though that I’m not the only one who thinks of photography. Japanese manufacturers are recognized to be some of the best producers of cameras and photography equipment in the world. During the 1970’s and 80’s, when the Japanese economy was booming, it was quite common to see busloads of Japanese tourists in popular vacation spots around the world. One of the hallmarks of these tourists was their penchant for photography. Being home to companies like Canon, Fuji and Olympus meant that these tourists were always well equipped with the very latest cameras and technology. These days the Japanese economy may not be what it once was, but the photography business is still big in Japan. If you’re a photographer of any level of proficiency, Japan is a must visit. Cameras and equipment abound in places like Akihabara, but you don’t have to go to Akihabara for the best deals. 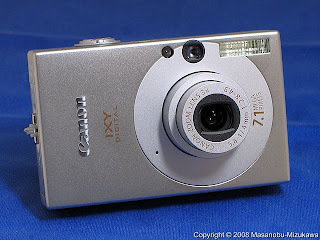 Most Japanese electronics stores carry a full range of cameras and camera equipment. The west exit of Shinjuku station is also famous for it’s mini camera district. Photography in Japan isn’t just about camera shopping and technology. You will meet some of the most patient and dedicated amateur photographers here. Every weekend you will see keen photographers setting up their gear on train platforms waiting for a good shot, or even travelling miles into the countryside to secure a prime spot for the perfect sunrise or sunset. Visitors to Japan can be seen with camera in hand snapping such popular sights as: Shibuya crossing, Mt Fuji, Tokyo Tower and believe it or not, according to a recent survey, automated parking towers. If you just want a cheap new digital camera or the latest SLR, Japan is the place for you. While you’re here you can test out that new camera on the many interesting sights and attractions Japan has to offer. All you can eat........and drink! now, or maybe it’s because Japanese people love to eat, drink and be merry, but there can be no mistake that affordable "all you can eat and drink" plans are extremely popular in Japan. parties are almost non-existent. The result is that most Japanese people like to party it up in an izakaya (a Japanese style bar) or restaurant. Izakayas and restaurants are everywhere in Japan and competition for customers is intense. As a result many izakayas offer affordable "all you can eat and drink" plans. Such plans usually adhere to a strict time limit of two hours. During this time it’s as the name suggests; all you can eat and drink inside these two hours. Keep this time limit in mind as the time limit is usually very strict. Staff will alert you twenty minutes beforehand so you can make last orders. can eat or drink" phenomenon has spread to certain restaurants too, most of which are yaki-niku (barbecue style) restaurants. Nomihoudai and tabehoudai are part of the culture and are only becoming more and more common in the current global economic climate. Eating and drinking in Japan couldn’t be cheaper or easier as it is today. If you’ve ever stepped into a Japanese supermarket or convenience store, you would have noticed the vast display of drinks and confectionery. In fact, some of my favorite souvenir items I like to purchase for friends and family back home are snacks and confectionery. They are not only cheap and delicious, but incredibly varied. Even a short stay in Japan will make it clear that the Japanese love food and drink. TV here is plastered with shows where people do nothing but eat local cuisines from around the country. It is so big of an industry, that food and drink manufacturers here spend an enormous amount of time and money inventing new product lines. One reason for such high turnover of product lines is that the industry is extremely competitive. Regular new flavors guarantee a sales spike for the initial period. 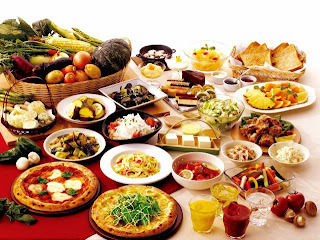 Food and beverage companies in Japan produce a larger variety of product lines than any other country in the world, sometimes researching new recipes and ideas months or years in advance. Another reason is that the industry has by itself created a collectors market for new and limited edition snacks and beverages. Collectors race to buy these items as soon as they are released. Some items are so limited that they require a waiting list and command a high price. Consumers in Japan have a busy time keeping up with all the new flavors of drinks and snacks each year. Every flavor under the sun is an expression that accurately sums up Japan’s ever changing convenience store display shelves. Great discount on top hotel deals in Tokyo, Kyoto and more! No booking fees for hotel and ryokan reservation in Japan!